← Whack a Mobster, Waste Some Time. It’s Fun. Really. It takes someone really, really intelligent to pull off stupid. Because dogs don’t speak ANYTHING, DUH. So I don’t mean THAT kind of stupid. 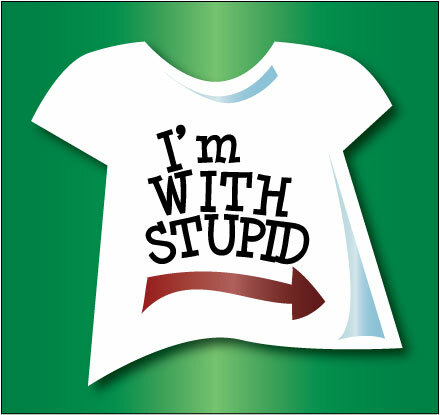 We’re all immersed in THAT kind of stupid everyday, and actually we can view it positively. Okay. So now that we’ve ruled out the kind of stupid I don’t mean, let’s talk about the kind of stupid I do mean. I have enormous admiration for actors like Brenda Song, Suzanne Somers, and Ashton Kutcher, all of whom play, or have played, characters who are so dim they border on nearly retarded, were they to inhabit real life. It takes an extremely intelligent actor to pull that off. You can tell, because less intelligent actors try to do it and it just doesn’t work. They actually ARE stupid, and it shows. The jokes aren’t funny, the timing is off, the whole thing falls flat. Two days ago, my older daughter, who is 12 going on 22, and I, were having a very funny exchange, making fun of each other because she is a golden blonde who dyes her hair red, and I am a redhead who dyes her hair blonde. Hence, blonde jokes are inevitable. Now: my oldest has developed a rapier wit that leaves you bleeding before you even feel the knife. I’m funny, but her dad is funny too – in a very dry way. She’s gotten the best of both. She’s a colossus of brainy humor, and you NEVER see it coming. I am at the stove, obediently cooking bacon for the girl, who is growing like a beanstalk and already towering like a willow over me. She is sitting on the kitchen island, swinging her long legs, sitting bolt upright, hands crossed over her chest, lips pursed. “I don’t know if I can eat that,” she says, in a too-sweet voice. “Is bacon a meat? “Are you a vegetarian?” she asks, big blue eyes wide. “I don’t know,” I respond helplessly. I was gone after that. Not only was I flabbergasted that my 12-year-old could make such a clever joke, but I was delighted that she was intelligent enough to play stupid so very well. * I speak French to my dog for two reasons: one, he is more intelligent than most humans, and once I taught him all the commands in English, he got bored, so I decided to reteach him everything in French. The other reason is that I don’t have anyone else to speak French to, so I speak French to him.